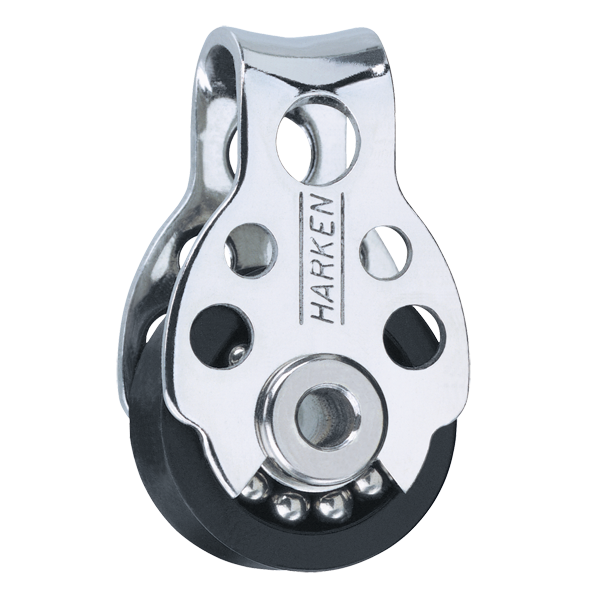 The 16 mm is Harken’s® smallest block. It is perfect for small synthetic control lines found on high-tech dinghies. The patented bearing system uses stainless steel balls in a captive grooved race and has a 250 lb (113 kg) maximum working load.